Our routine while we’ve been in Benoa has been embarrassingly decadent. This is our week for playing at the beach, so we’ve been doing just that. I’d hoped we’d be able to tour the island on bikes because I read Bali is a good place for that, but I honestly can’t imagine how it’s done here. The roads are chaos and the sidewalks even worse (and sometimes, the sidewalks are used as another lane for the motorbikes), so the idea of cycling here just feels suicidal. As a result, we’ve focused on the water and thankfully, the weather has been cooperating since the last rain. Today we woke up to another gorgeous, hot day and enjoyed a massage followed by paddleboarding. Tomorrow, we’ll switch to another beach for more bodyboarding (while David surfs). I’ve tried surfing in Tel Aviv, but I find the waves here to be a bit daunting (I am still skittish in open water), so bodyboarding has been a good alternative. As is true in many developing countries (and even more so on an island), waste disposal is a real issue. There isn’t a good, reliable waste management system in Bali, so many people end up burning it, which can release toxic chemicals into the air. To compound this issue, tap water isn’t safe to drink, so there is little choice but to purchase water in plastic bottles. 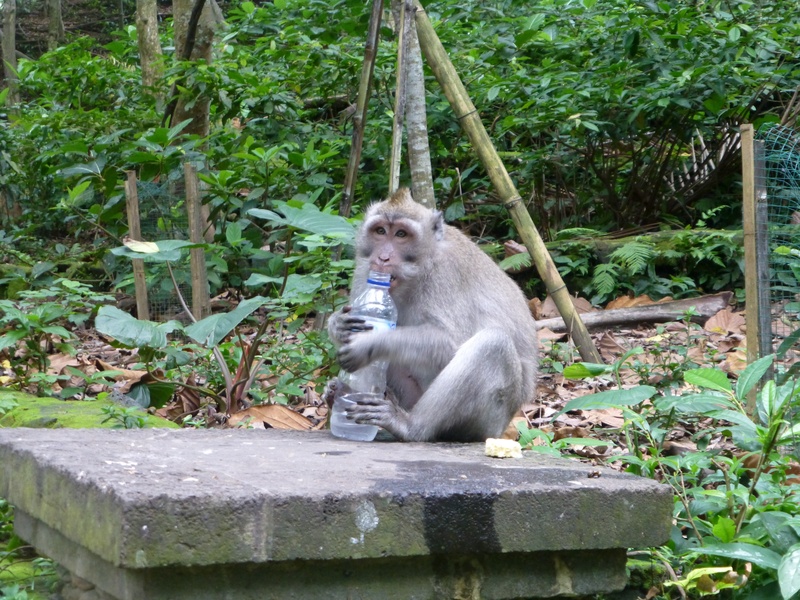 If you want to help the Balinese manage their waste and still have safe drinking water, I recommend bringing your own bottle and sterilizing it yourself. Nearly all restaurants will offer “western” food, but Balinese cuisine is so fresh and delicious that it seems a shame to not take full advantage. This is a particularly wonderful place for vegetarians because cooking with tofu and tempeh is a natural part of the cuisine. We highly recommend the local soups, especially the Soto Ayam, which is a delicious chicken soup with fresh vegetables, egg, and rice noodles. And don’t miss having a sunset dinner on Jimbaran beach, where you can choose your seafood from that morning’s catch and eat it right on the beach. Leave it to me to have a separate entry about coffee. I’ll admit that we went to Starbucks once because it was in such an awesome location (by a temple! surrounded by a pond with lotus flowers! ), but the truth is that the local coffee is truly delicious, even the kind they call the “traditional Balinese” coffee with all the grounds in the bottom. So by all means, drink the local coffee here. What to avoid: Kopi Luwak. This is also known as “civet poo,” “cat poo,” or “weasel poo” coffee…and for a reason. An animal known as a Luwak (a mountain civet, which looks like a cross between a cat and a weasel) eats the fruit from a ripe coffee bean plant, then poops out the beans. The beans are collected, cleaned, then roasted. The acidity of the civet’s digestive system changes the flavor of the coffee and it’s known as a real delicacy here. I cannot attest to that because I’ve refused to try it because…well, first of all: it was once inside an animal’s poo. I mean, come on. Yes, I know I’ve eaten more exotic things than that before, so how’s this for a more compelling reason: because this coffee sells for an exorbitant amount (I saw it for over $100 a pound in one place), unethical farmers are catching civets, caging them, and force feeding them to harvest more coffee beans. Many of the civets are dying in captivity and experts are concerned that this could endanger their existence. I think that’s enough reason to avoid Kopi Luwak. Driving: Taxis are often a necessary evil. When you are in the city, make sure you take a licensed taxi—these are easy to recognize because they have yellow license plates, a registration number somewhere on the car, and a meter that works. Make sure you see them turn on the meter. When you are outside of the city (in Ubud, for example), there is no formal taxi company, so agree on a price beforehand. Ask a few drivers to get a feel for how much they charge before you settle on one. Motorbikes/scooters: We see a lot of tourists on these, but driving in Bali is what I would call an “organized free-for-all,” so unless you are skilled at 1) driving on the left side of the road and 2) managing a bike under chaotic conditions, then I would recommend giving it a pass. If you feel you cannot live without the experience, then please wear a helmet, even if you feel silly because the locals aren’t. Walking: Always look where you step. I cannot stress this enough. It’s not just about stepping on offerings (the Balinese are so lovely and mild mannered they don’t seem to care if you accidentally step on their offering), but sidewalks are in poor repair. A perfectly good-looking sidewalk can have a surprise pit right in the middle of it. For this reason, it is good to have a flashlight when walking at night. Sadly, Bali has a serious feral dog issue as well as a rabies epidemic. There are some local organizations that are attempting to get it under control, but we’ve heard there isn’t a great deal of government support for it, so it’s a slow process. If a dog has a collar, it is likely owned and/or received its rabies shot. If it doesn’t, stay clear. I’m a dog lover, so it’s hard to pass up giving a dog a little pat, but it’s really best to control yourself here. 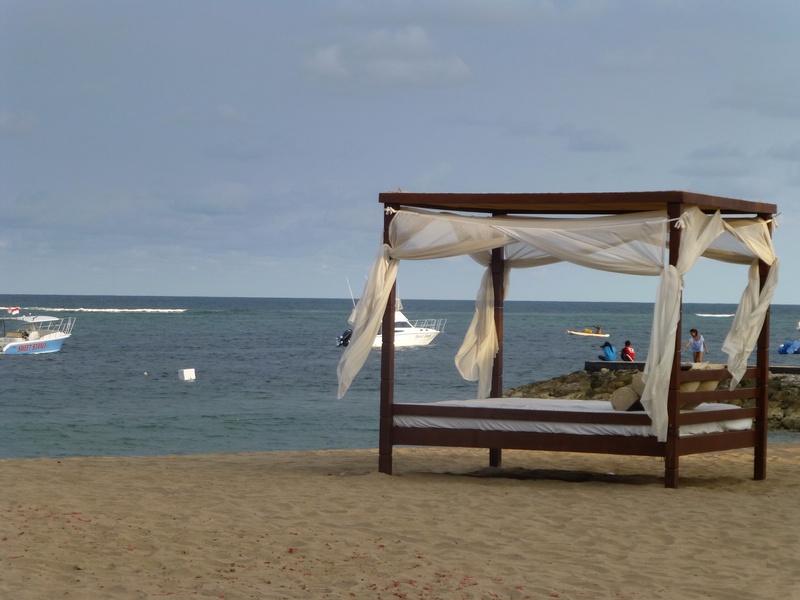 People downplay the Nusa Dua area because there are so many hotels, but if you want a clean, quiet beach with very little hassle (such as people trying to sell you something, give you a massage, or braid your hair), then the beaches in Nusa Dua are incredible and far less populated. Geger beach is a particularly nice, quiet spot that is protected by a reef, making it ideal for certain water sports like paddleboarding (or professional-level surfing, if you go beyond the reef). You also shouldn’t miss the coral outcroppings between north and south Nusa Dua beaches, where you can gaze upon the ocean and watch the waves crash spectacularly over the coral. P.S. David says I shouldn’t forget to mention that Wi-Fi is pronounced “wee-fee” here. There you have it, a few tips for the weary traveler. Now to get back to the beach to enjoy our last few days. Glad you had some time and good weather for fun on the beach! 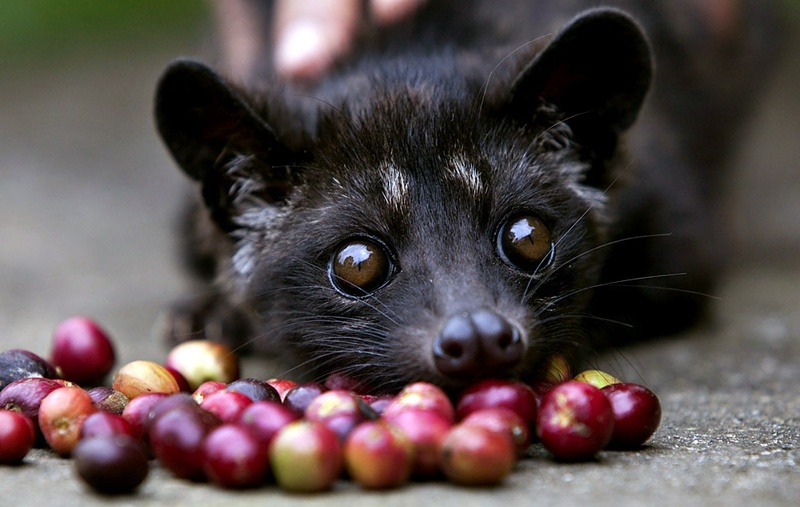 Those civets are really cute, but sad about how they are being exploited for coffee. Thanks for letting people know about that. Hope you have a wonderful time on your last bit of the trip!